I don't get this. I just had my third experience of an away mission failing when I dispatched a team that was "guaranteed". I don't think it had anything to do with the sudden server crash; this is the third time I've experienced this. The last two times were about 6-8 weeks ago (they were within a few days of each other). I have also had it happen on very rare occasions. Usually on rare or epic away missions. 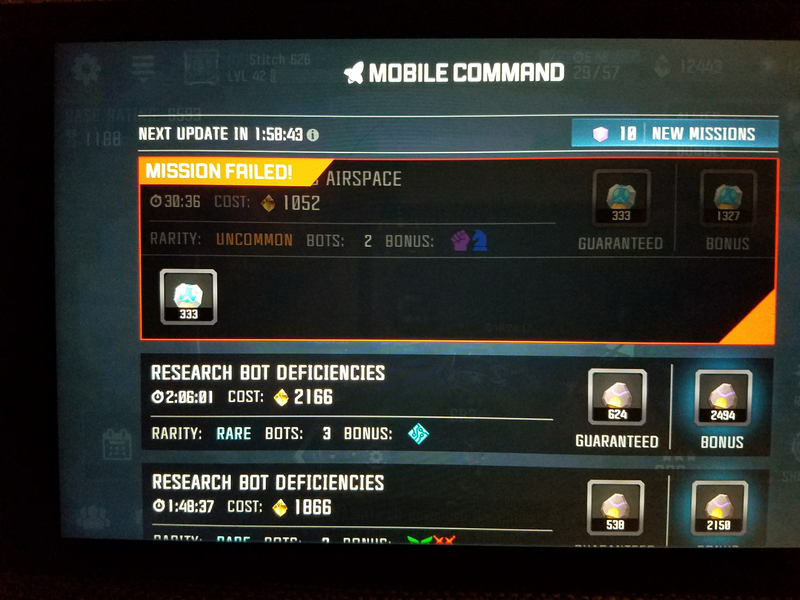 I remember when failing was common for guaranteed missions and they patched it.. might still be a minor glitch in the code somewhere that allows it to still happen. Same here, got it a few times last month. I find that it seems to happen when the team was kinda of just slightly touching the Guarentee range (tried by switching between 2 bots with very close rating and same type and star) but it could just be a coincidence. I'm going to ask the team to look into this. 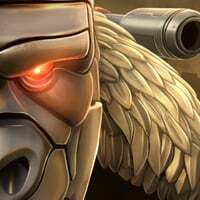 Do you remember any details of the Away Missions? If you remember what it was for (Arena Chips, Gold, etc.) or what rarity it was (Common, Uncommon, Rare, Epic)? We know that this was an issue quite some time ago during the Beta, but had pushed a fix that should have taken care of this problem, and then hadn't heard any reports of this since then. Has this been an ongoing thing that rears its ugly head every now and again, or did it just start happening again lately? Thanks Amano. If anybody else has anything to add here, please do! I'll be taking this over to the team right now. What I think might be happening, is the game reports to the player as the mission being "guaranteed" where as in reality it is actually "very high". This gives us a failure from time to time when we perceive it to have been a guarantee. It happens so rarely that I think this may be a visual bug to the players in certain circumstances, depending on the away team sent. And since it seems to align with only rare and epic missions which tend to require better bot teams, it makes sense. As others said, it's usually epic or rare missions. What tends to happen is that I select some bots and if it says "very high", I remove the weakest bot and replace it with the next weakest available bot. If that's enough to get guaranteed, I send them off (always with at least one of the recommended bots). If it's not, I take out the weakest again and put in a stronger bot again (usually chosing the lowest available stronger bot). So I can't say for sure that it only happens on rare or epic, but I'm pretty certain it only happened to me so far in those cases. I know for sure I always send the recommended bot class if there is one. And I never start a mission that is t guaranteed (at least, not since week 1). @Kabam Miike happened to me last night for the first time ever.